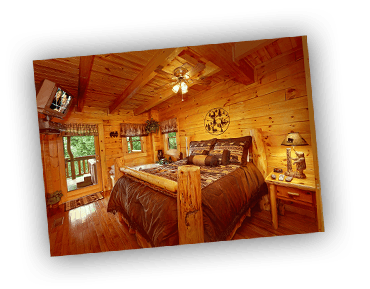 Top Cabin Rentals is the recognized leader in luxury cabin rentals in Gatlinburg, Pigeon Forge, & Smoky Mountains offering the finest of furnishings for the romantic getaway and family fun. Whether you are looking for a cabin with a spectacular mountain view or a cabin on the Little Pigeon River, Top Cabin Rentals offers affordable deluxe cabins & economy chalets to suit your family’s needs and vacation budget. Honeymoon & Anniversary Packages Available! We provided luxury cabins that are professionally designed & landscaped so that you can enjoy the Smokies in Style! Your stay at Aunt Bug’s will refresh & relax you! 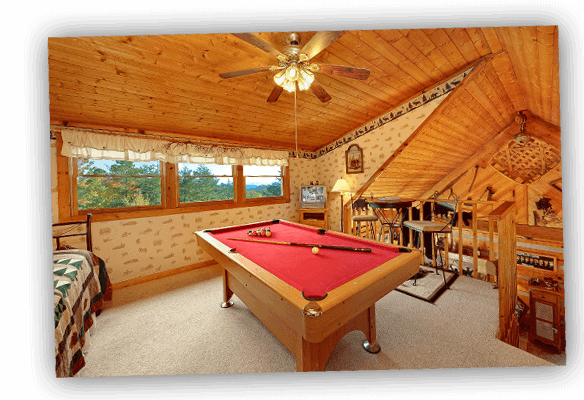 Call us today to choose the highest quality accommodations in the Smoky Mountain area. Let Us Help You Make Memories That Will Last A Lifetime! Call (800) 223-6264 to ask about our DAILY & WEEKLY Specials. Stay on the River in Gatlinburg or Pigeon Forge. Fantastic VIEWS of the Smokies, Mt. Leconte, & Little Pigeon River available…AVAILABLE!